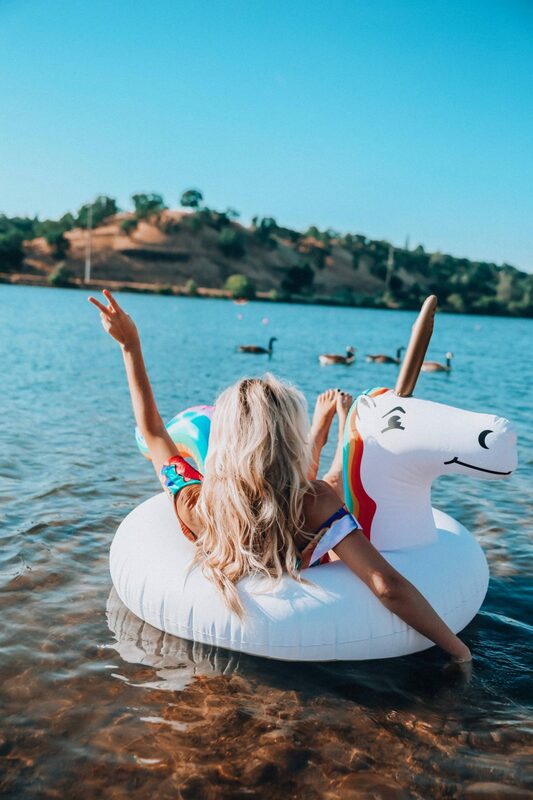 Whether it’s used for lounging or laying out in the water OR bought solely to capture that instagram shot 😉 pool floats/inflatables are all the rage right now! Donut shaped, unicorn shaped, cactus shaped, you name it – they’re all highly sought out items for Summer play. 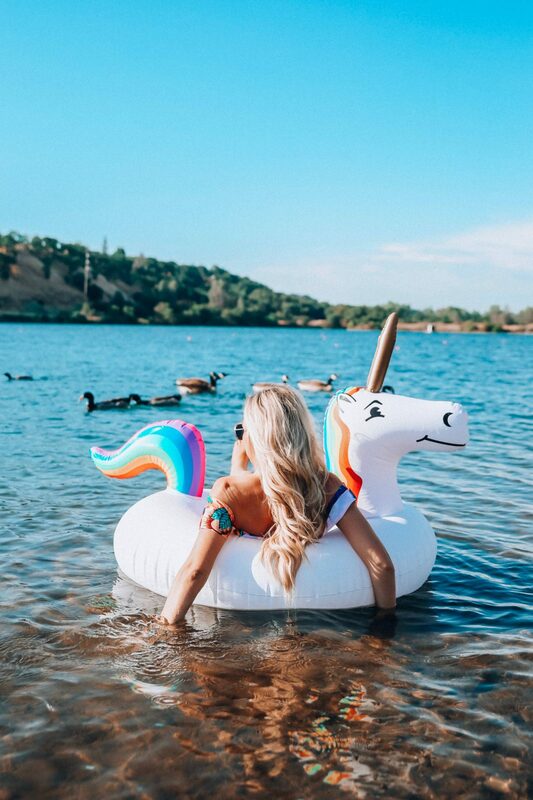 I recently purchased this unicorn float on Walmart.com (on their new and improved website – now very user friendly) as I have seen super similar versions for a lot more money. Walmart is always coming through with their low, everyday prices, and I’ve recently been realizing how much they’re upping their game when it comes to selling on trend items. 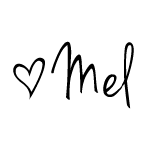 They also offer free 2 day shipping on orders over $35 for most items. 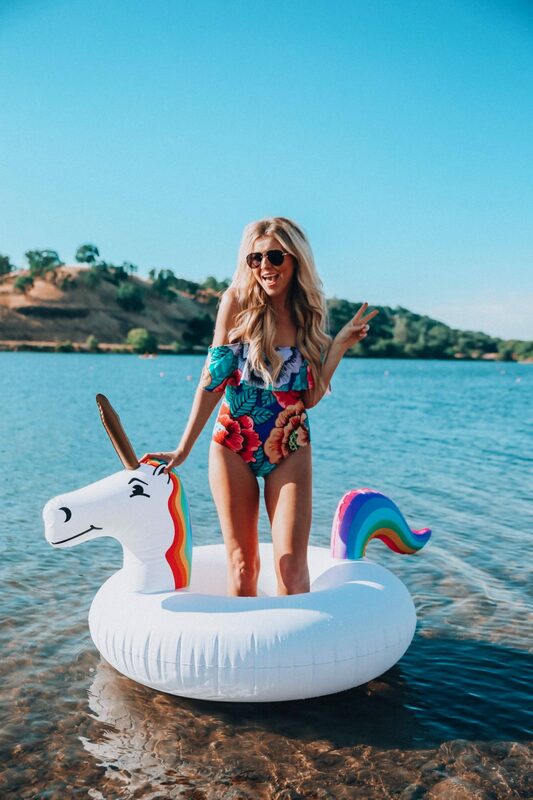 I qualified for free shipping after adding the unicorn float and this swimsuit into my cart. Check out this flamingo float for less than $10! Or this kid version (lobster) for about $10. Or go here to see all options they have for sale. 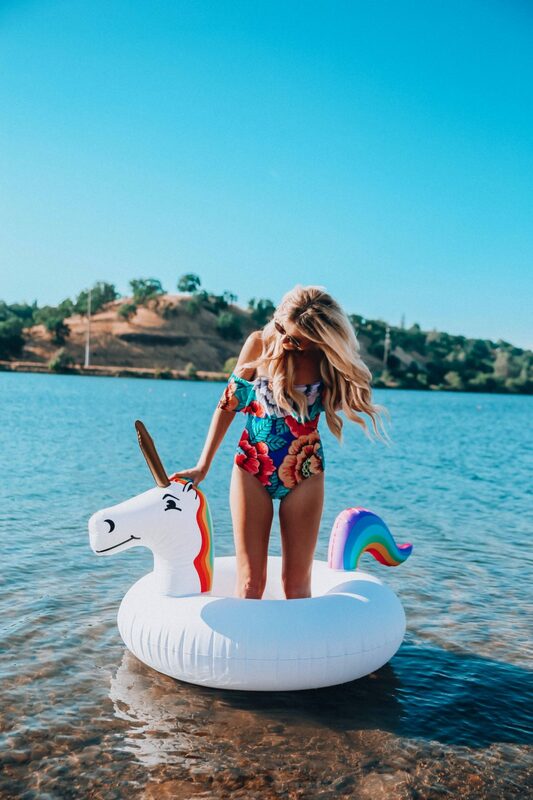 And while we’re on the subject of Summer, I found quite a few cute (cheaper) swimsuits on their website, too. This one is a dupe of a much more expensive version that was for sale last Summer. Love this print and cut out. And this is the one I am wearing in the pictures below. Be sure to check out their full swimwear collection because I was, again, quite shocked at the selection/prices. These floats are so fun! !